For what reason do I travel solo? Isn’t it boring sometimes? Truly, it can be!! But what I adore the most about solo traveling is that I am not bound to anything. While exploring the state of Uttarakhand, I had planned just a day for Rishikesh but the beauty of place left me speechless and I chose to make my stay somewhat more. While traveling solo, you interact more with the other travelers and the locals rather than staying in your group chats. Some interactions lead to new lifetime friends. Hang on Abhi!! 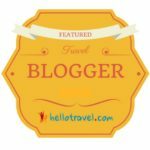 Is this post about solo traveling? Oops sorry!! Let us now talk about Rishikesh. Located in Dehradun district of Uttarakhand at the foothills of Himalayas, the pilgrimage and holy town of Rishikesh is known as the Yoga capital of the world and gateway to Garhwal Himalayas. The town is quite popular among the tourists and one can enjoy various adventurous activities like rafting, bungee jumping, kayaking, and many more. But is the place all about Yoga and these adventurous activities? No!! Be with me until the very end of the post and I am sure you will realize that there is something more about the place. The cheapest and convenient way to reach Rishikesh is via railways. 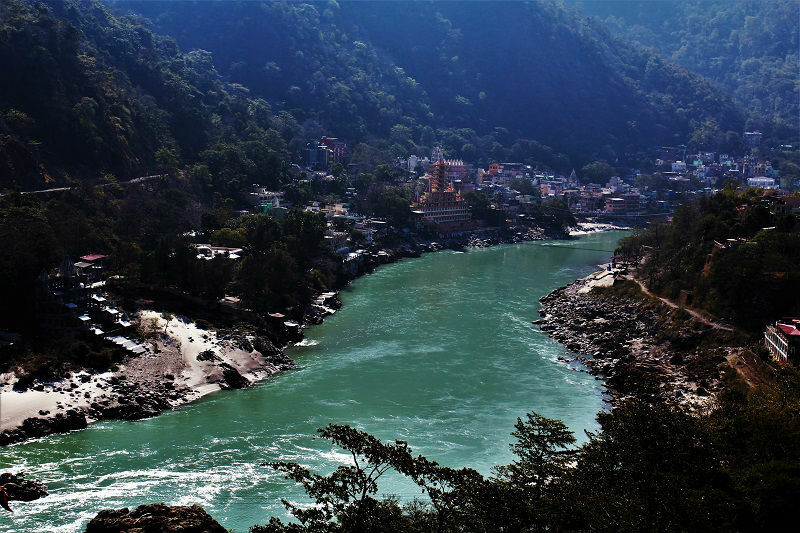 Rishikesh is located about 240 kms from Delhi and around 20 kms from Haridwar. Regular trains ply from Delhi to Haridwar which takes around 6 hours. There is also a railway station in Rishikesh but train frequency is very low. 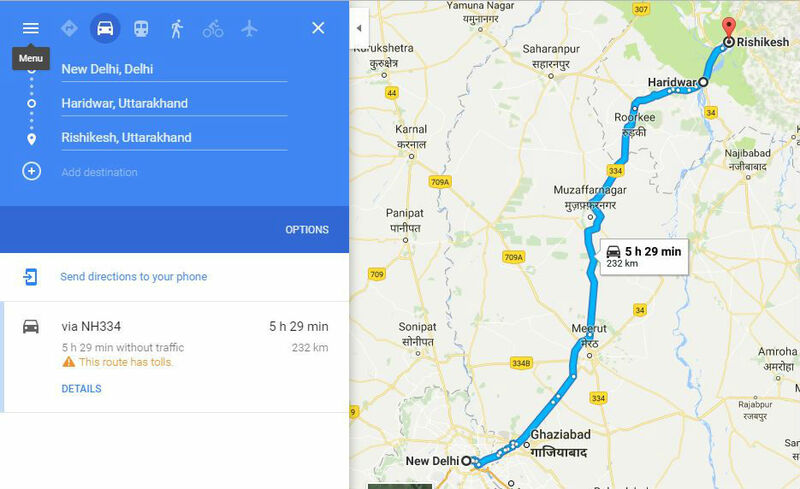 Since Haridwar is connected to major Indian cities via railways, you can take a train till Haridwar. From Haridwar, you can opt for a bus or Tum – Tum (Shared auto), which would take around 30-40 minutes to reach Rishikesh. 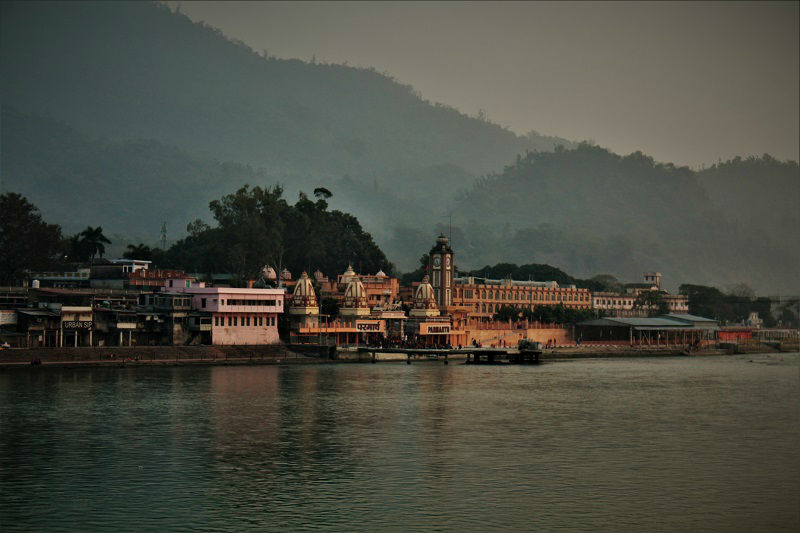 Also, you can opt for a bus from Delhi or other major cities nearby to reach Rishikesh directly. A town can be best explored walking!! Abhi – I have been reading the same line in all your posts. Bring in something new my friend!! The reason why I pen down the same line is simply to remind all my readers that justice to exploring the beauty of any place is undone if you haven’t spent some time walking through the streets. Rishikesh is divided into two main areas, the less appealing and crowded main town area where you will find the bus stand, railway station, and Triveni Ghat. The other area is known as Tapovan which is comparatively peaceful and hence most travelers stay here. 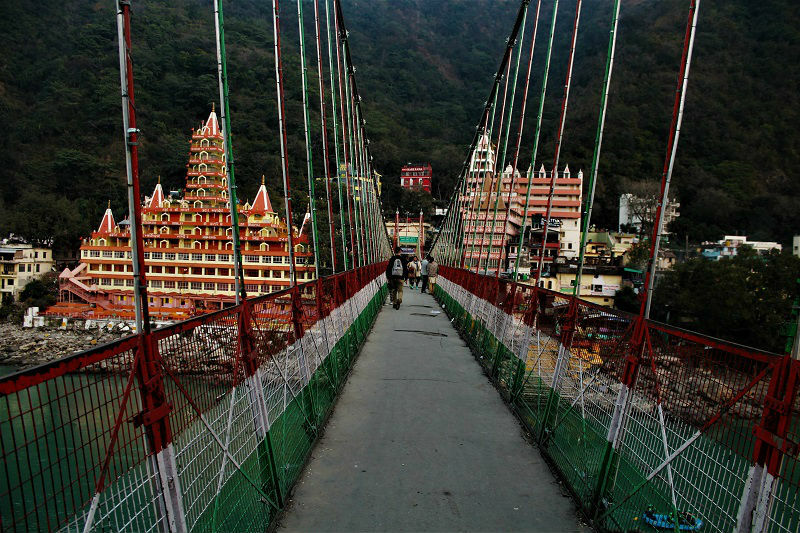 The two famous suspension bridges in Rishikesh (Ram Jhula and Lakshman Jhula) are located in this area. You can take shared rickshaws to reach either side of the town (INR 10). 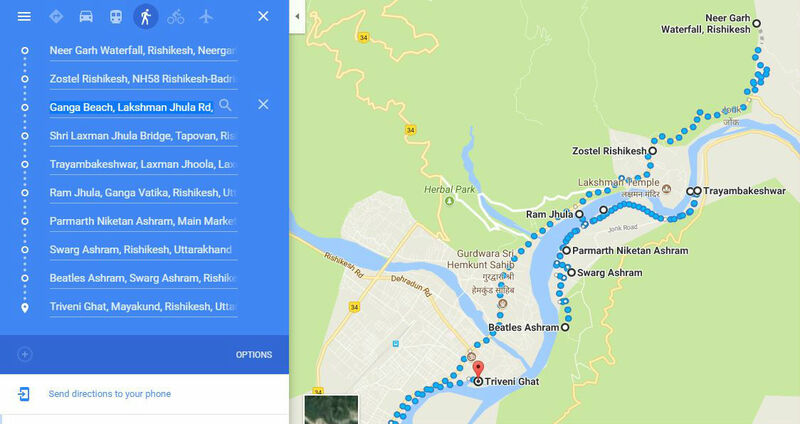 If you are looking to explore the nearby places of Rishikesh, search for garages that are engaged in bike rentals and get one for you. Prices: Scooty INR 400, Pulsar INR 500, Avenger 700 and Bullet 1000 INR. Zostel, where I stayed in Rishikesh also arranges the same. 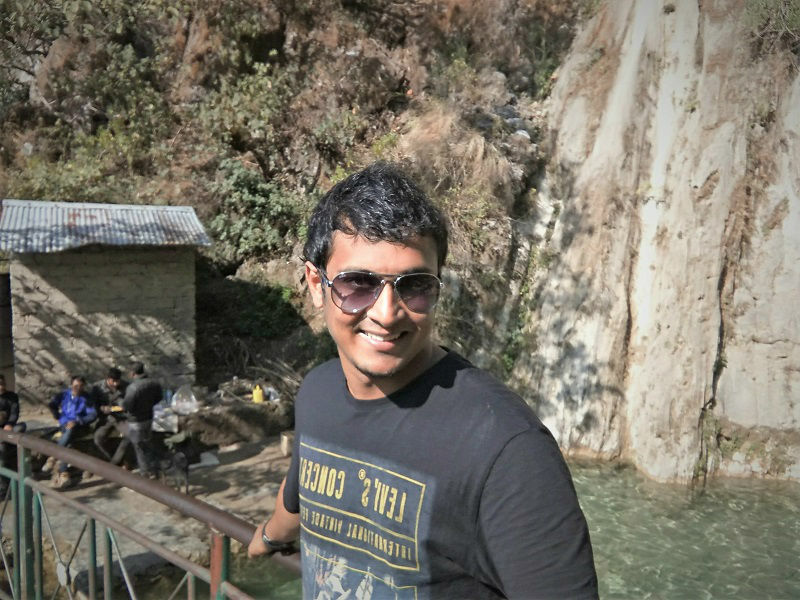 Each place has a story to tell, and when I began my 17-day journey to explore Uttarakhand starting from Haridwar, the next chapter was Rishikesh. 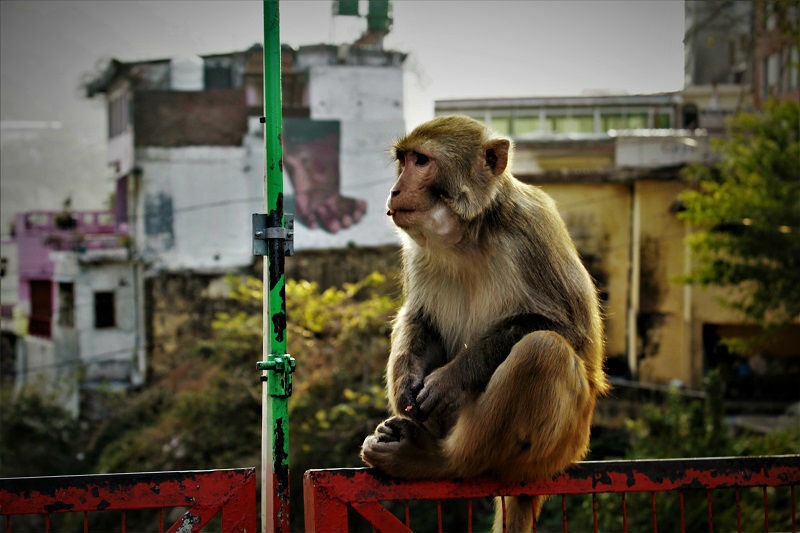 I had just planned a day stay in Rishikesh unknowing of what the place has on offer. 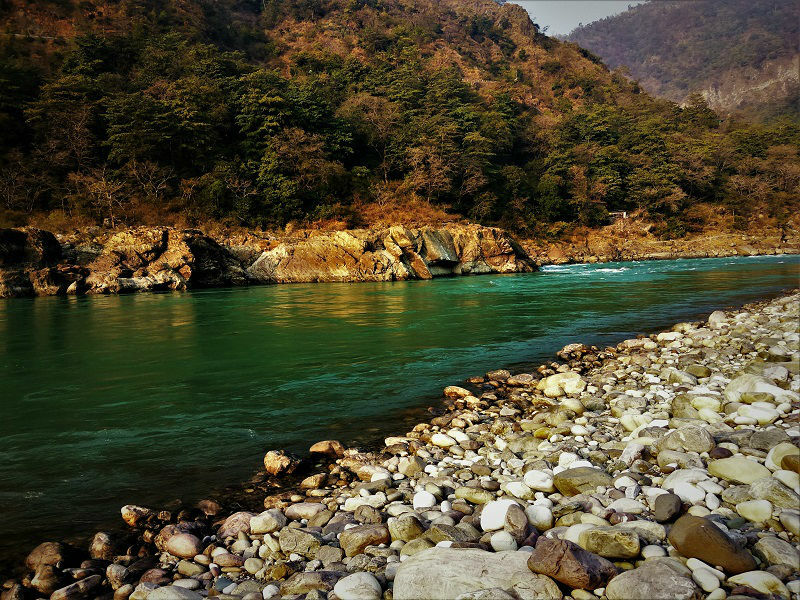 I took a shared Tum-Tum from Haridwar (INR 40) for Rishikesh. The Tum-Tum dropped me at the main bus stand from where Tapovan was another 6-7 kms where I had planned my stay in Zostel (a hostel chain). Another shared auto (known as Vikram) at 10 INR dropped me to Tapovan. It was my first visit to any of the Zostel which are presently spread over 26 cities. 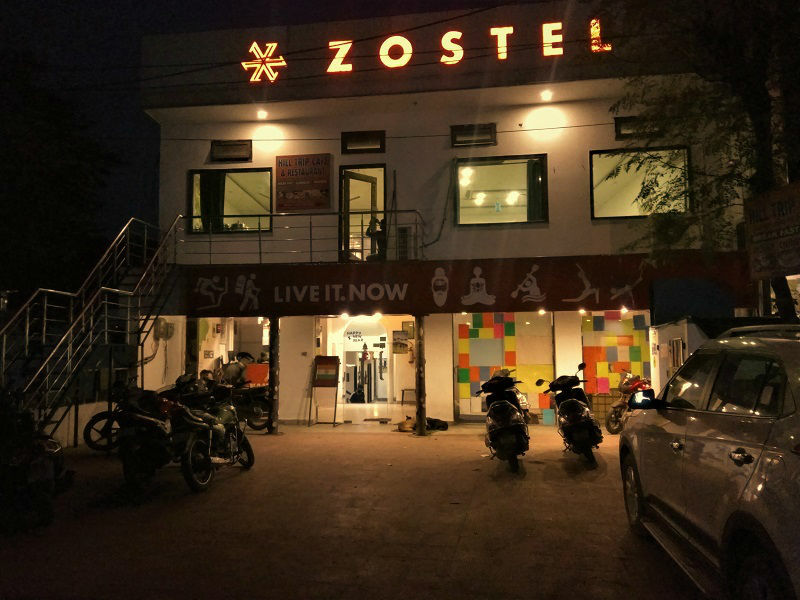 I was eager to experience the life at Zostel as I had heard a ton about it. I should concede, the experience of stay at Zostel was one of the main reason which constrained me to make my stay a bit longer at Rishikesh. I really loved the overall stay concept. It’s better, I should write in detail about Zostel in stay option section later in the post. 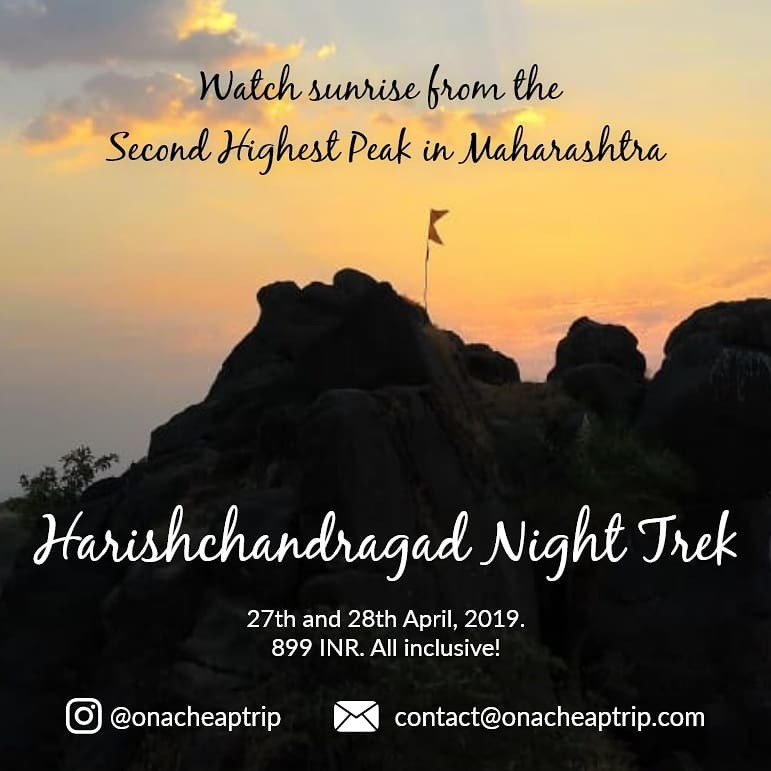 On day 1, I mostly explored the areas nearby to Lakshman Jhula and Ram Jhula which included the Yoga centers, various ashrams, and the different cafes. 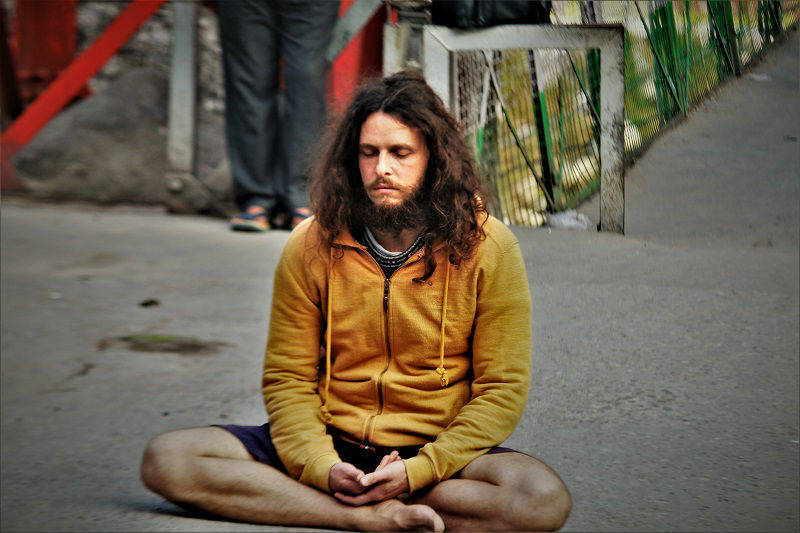 More than the places what’s delightful about Rishikesh was its mystical environment which gives you the inner peace. There is simply such a great amount to assimilate and soak up here, that only a day can feel like an outing of the lifetime. I woke up pretty late the next morning, thanks to my tired body which just completed its first full marathon two days before in Mumbai. I started around 10 am from Zostel, walking towards the Badrinath road, so as to reach Neer Ghar Waterfall which is around 4 kms. I sat in a luxurious pool under the cascading waterfall which was located almost at a hilltop, closed my eyes, and just meditated. All the tiredness was gone. I was reborn!!! After coming back from the waterfall, I went to the Goa Beach as suggested by Anil (he manages Zostel). He also told me not to miss the Ganga Aarti at Triveni Ghat which happens just after sunset. On the way to Triveni Ghat, I observed the sunset from somewhere near Ram Jhula and the view was simply majestic. I was in no mood to leave the beautiful town of Rishikesh. The most famous attractions of Rishikesh, Lakshman Jhula is an iron suspension bridge built over the sacred river Ganga in the Tapovan area. The 450 feet long Jhula provides a breath-taking view of the River Ganga and the Ghats and Temples nearby. It is believed that Shri Ram’s younger brother Lakshman crossed the river Ganga on jute ropes at the exact same location, and so is the name of the Jhula. On either side of Jhula, you will see markets where you can buy a variety of things. Definitely one of my favorite waterfalls out of the numerous I have visited till date. 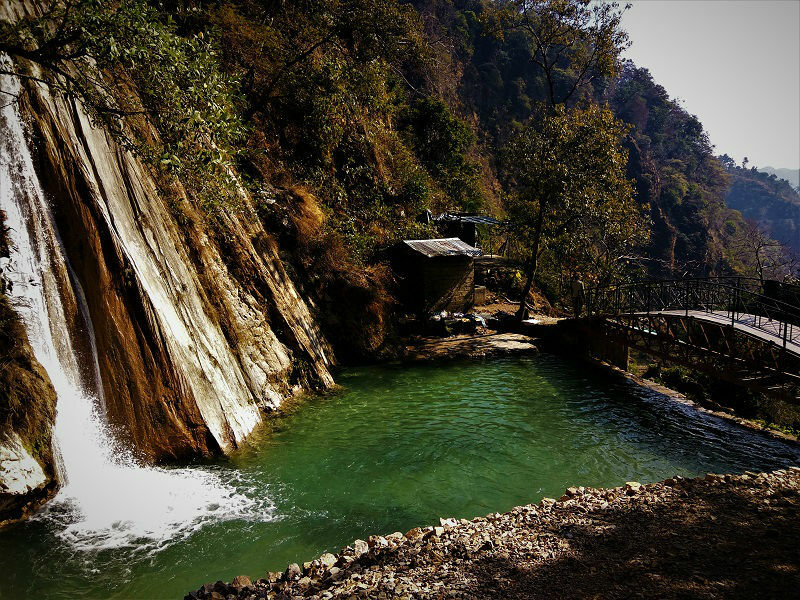 Located around 3 kms from the Lakshman Jhula, the waterfall can be reached by trekking through a small mountain. It is a series of a waterfall; the topmost one can be reached in around 45 to 60 minutes of trekking. 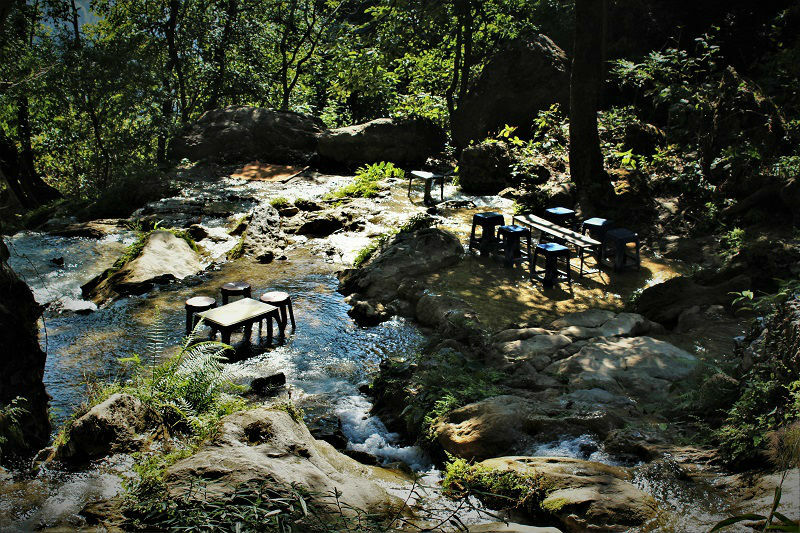 You will also find few dhabas on the way where you can enjoy refreshments amidst the beautiful waterfall and scenery. The water is crystal clear. Most of the time you won’t find anyone over there and I assure you that you would love every bit of stay over there. Don’t miss a bath in the pool beneath the topmost waterfalls!!! Away from the hustle bustle of the main Rishikesh town, Goa beach is the place to be at if you are looking for some peaceful time. The sand accumulated at this place resembles the beach sand in Goa; hence the name ‘Goa Beach’. 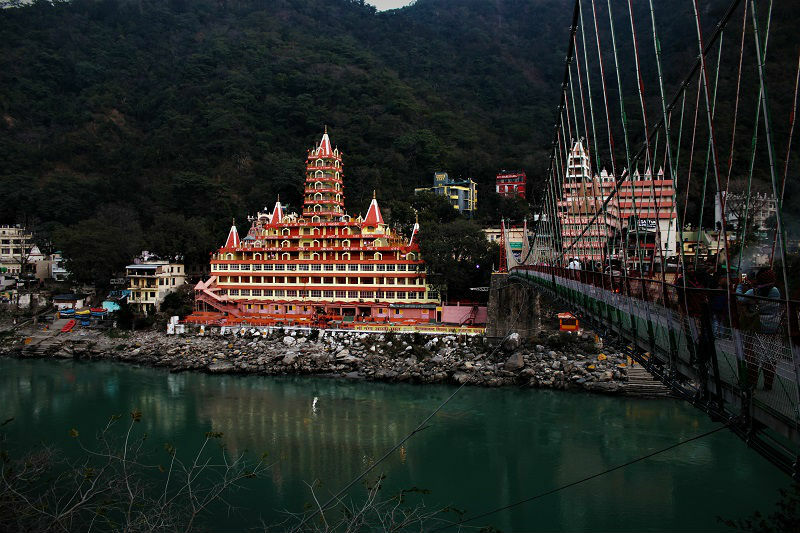 To reach this place, take a left from the Lakshman Jhula (Tera Manzil Temple side) and walk for around 15-20 minutes. The place is not popular among the tourist and you may be the only one hanging out there. 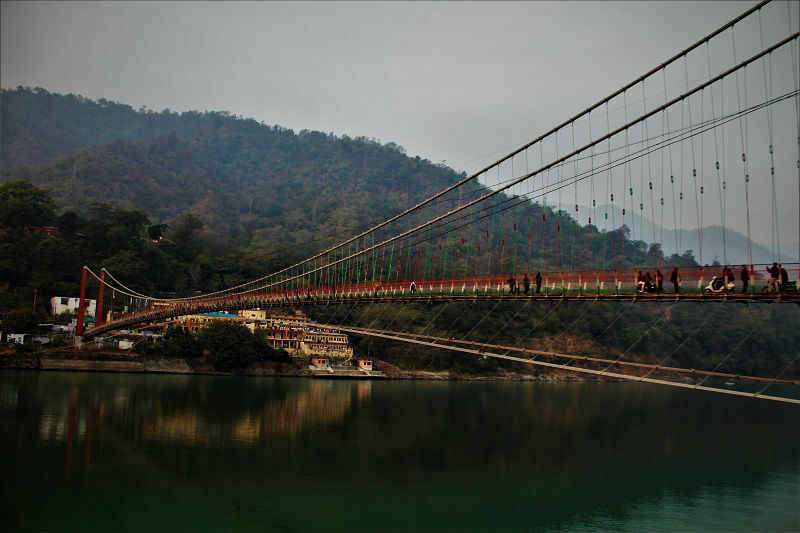 Another suspension bridge similar to Lakshman Jhula in Rishikesh is the Ram Jhula, although it is little bigger in length. In proximity to the bridge, there are many popular ashrams like Parmarth Niketan, Gita Bhawan, and Yog Niketan where one can meditate and spend some peaceful time. Also, know by Tera Manzil Temple, Trayambakeshwar Temple is one of the important holy shrines in Rishikesh. One has to walk each floor to reach the main temple which is on the 5th floor. The idols of almost all Hindu deities are located in this temple. Sunset view from 13th floor is just outstanding. 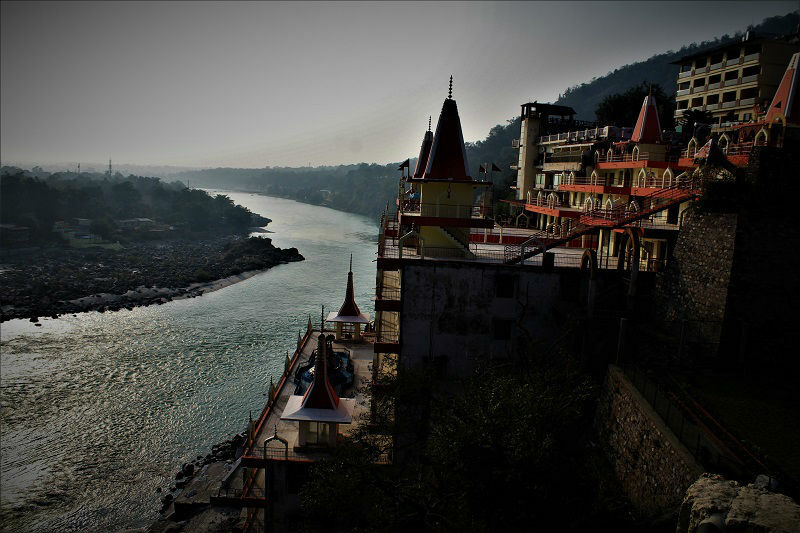 Located just near to the Ram Jhula, Parmarth Niketan Ashram is the largest ashram in Rishikesh with over 1000 rooms. The daily activities at the ashram are Yoga, morning prayers, kirtan, Satsang, meditation and the beautiful Ganga Aarti at the sunset time. For more details check the official website Parmath Niketan. 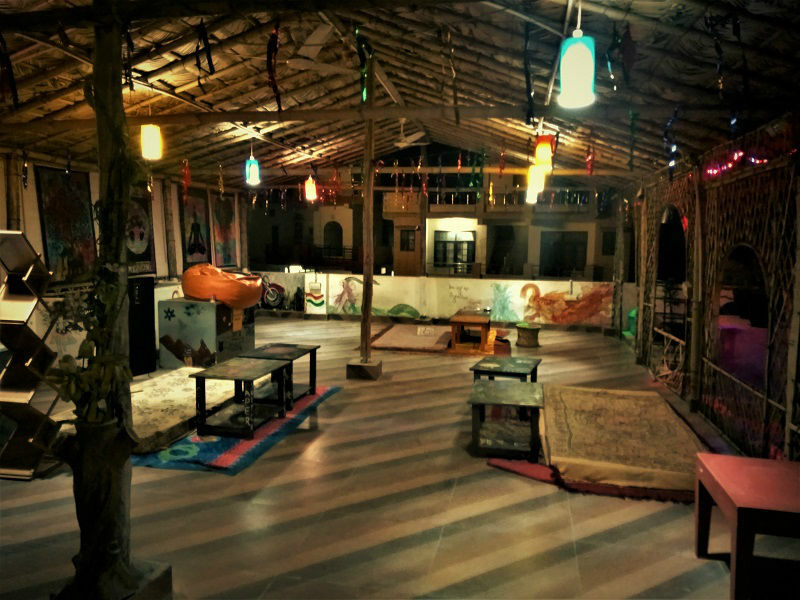 Located around 1 kms from the Ram Jhula, Swarg Ashram is a unique area full of ashrams and yoga centers. If you are in Rishikesh for peace of mind, this is the place to be at. The famous Beatles Ashram is also located in its premises. From here you can opt to run or have a leisurely walk on the beautiful marine dive 12 km stretch which passes along the sacred Ganga. 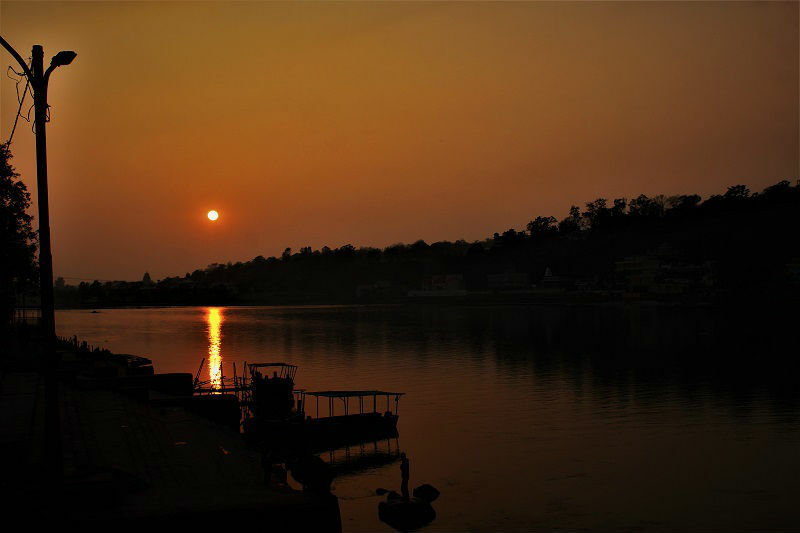 Also, the place offers a beautiful sunset view with the river Ganga at the base and the Rishikesh town in the vicinity. 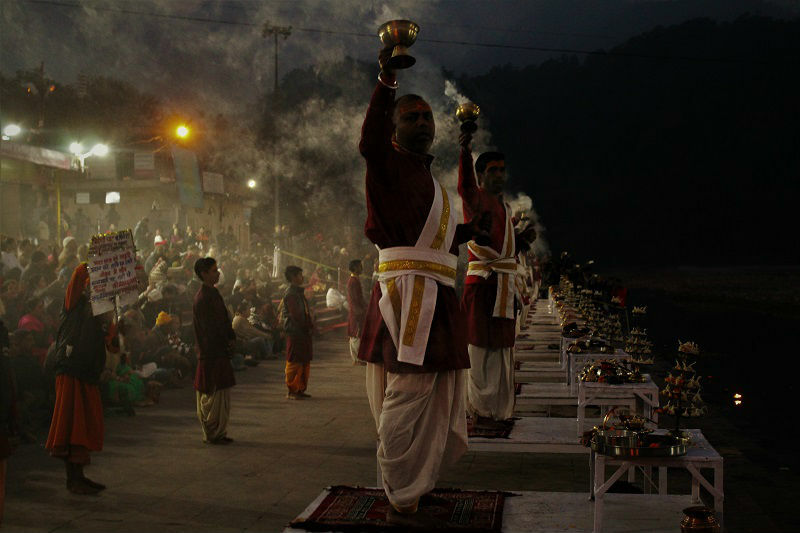 You can’t call your journey to explore Rishikesh complete if you miss watching Ganga Aarti (Maha Aarti) at Triveni Ghat. Located around 5 kms from Laxman Jhula, Triveni Ghat is the confluence of three holy rivers – Ganga, Yamuna, and Saraswati. It is believed that a dip in water here can give relief from all the sins and purify the soul. 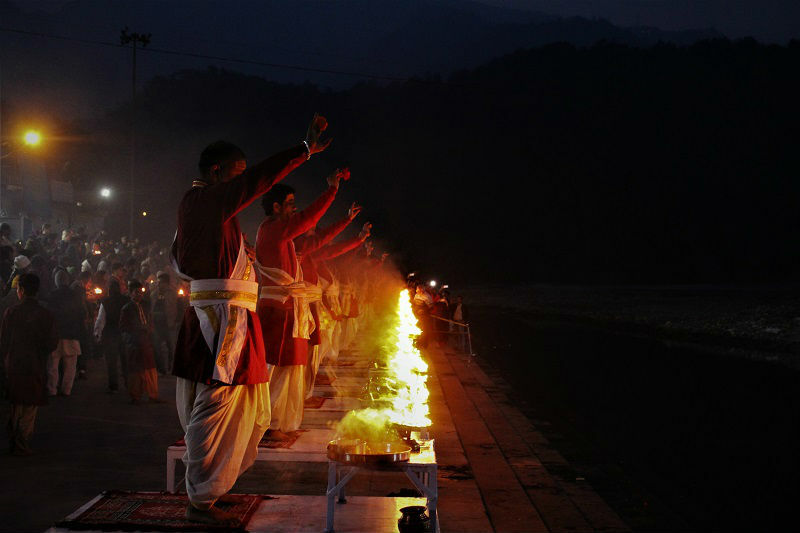 At the evening time, just after the sunset, Ganga Aarti is carried out at the Ghat. 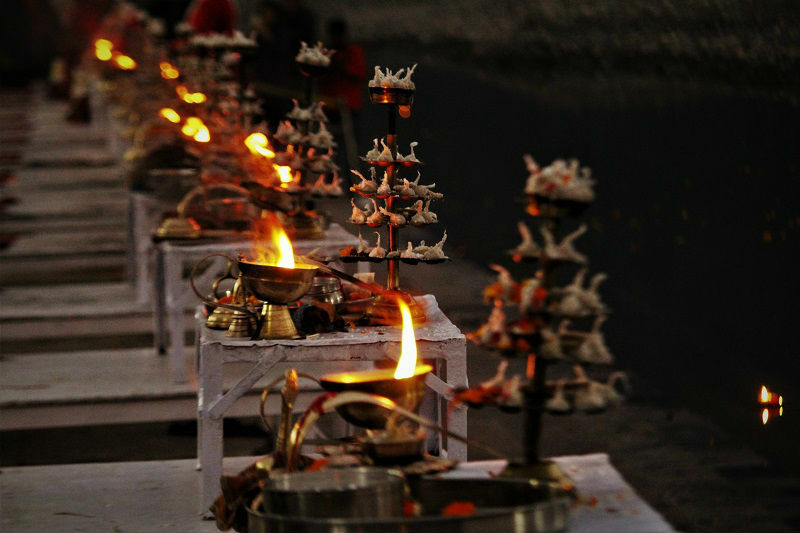 The view of the huge lamp containing several diyas, rotated in circular motion is pleasing to watch. The ringing bells, beating drums, chanting bhajans makes the atmosphere so majestic. Rishikesh is famous for various adventurous activities like rafting, bungee jumping, and kayaking. The main river rafting season starts from late September and ends at mid-November. For getting good deals, check the agencies at Badrinath road. There is basically 3 rafting length; 16 km, 24 km and 30 kms, so choose wisely depending on your stamina and time you have in hand. 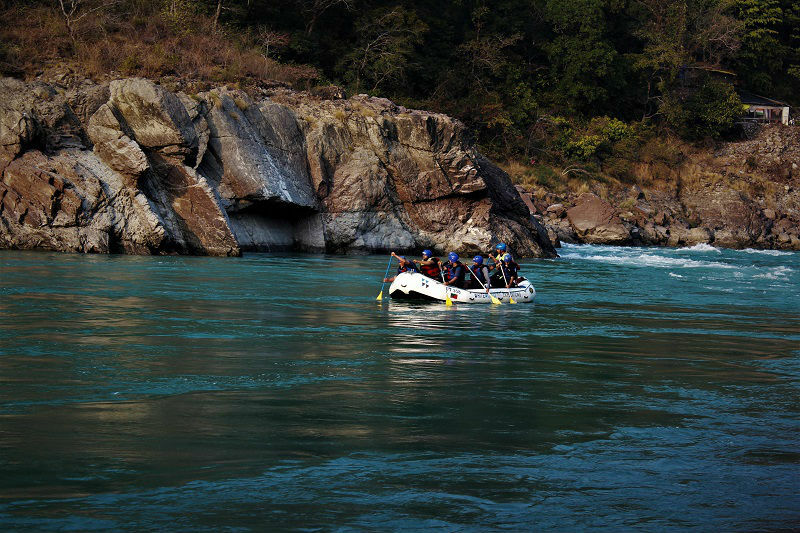 The most famous rafting route is one that starts at Shivpuri and ends at Lakshman Jhula. The rafting distance is around 16 kms and takes around 3-4 hours to complete the same. One can also enjoy Bungy jumping, Flying Fox and Giant swing at the famous Jumpin Heights. For more details, check the official website: Jumpin Heights. No alcohol available!! No non-veg food available!! So plan accordingly. Café Beatles is a place to be at if you are looking for great food with some breath-taking view of surroundings. If you are looking for vegetarian thali, head to Choti Wala. Little Buddha café Paradise Café and German Bakery are the others I would highly recommend. For stay head to Tapovan area, which is more beautiful, peaceful and greener than the crowded main town area. You can opt to stay at any of the Ashrams where price varies starting from 100 INR per night. Staying at Zostel was the best decision of my trip and would highly recommend the place. 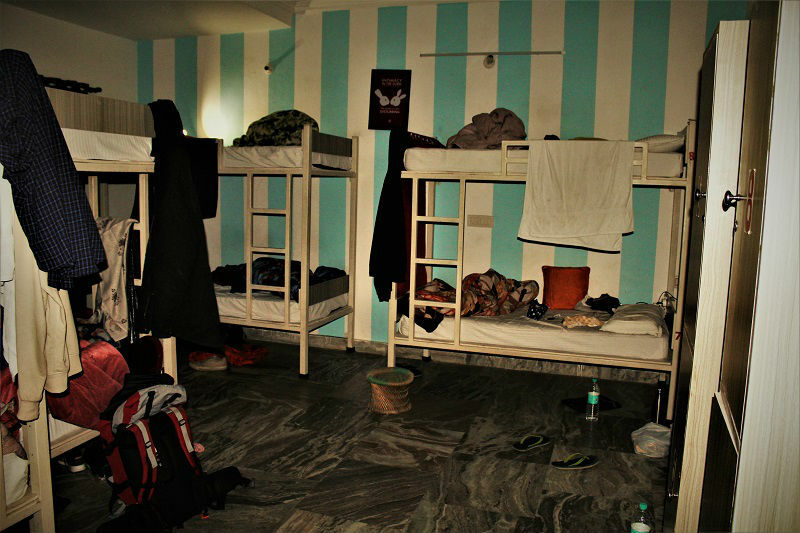 I was happy to see the concept of backpackers’ hostel catching up in India. 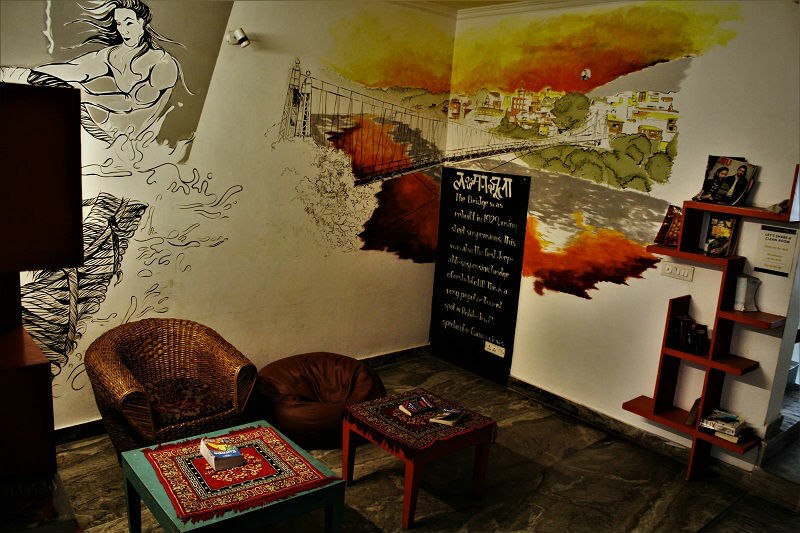 Located around 1 kms from Laxman Jhula, Zostel has various stay option ranging from INR 300 to 2000. I stayed in the mixed dormitory which was around INR 300/night. They organize various events at the Zostel like Yoga session, Aarti, dance sessions etc. Bonfire at the terrace was my favorite place to spend time listening to guitar and chatting with fellow travelers. Eternal positive energy flows through Zostel. Everything deserves a 10+ rating. Special thanks to Anil for being so good and helping; we are now lifetime friends. I had planned just a day stay in Zostel but ended up staying 3 nights. I am sure, I will come back soon!!! For more details on Zostel check out the official website Zostel. Due to proximity to the Himalayas, it provides a cooler climate even in the summer season. The best time to visit Rishikesh is between November and April. Avoid visiting in rainy season as rafting and all adventure activities are closed during this time. Just 3 days before arriving in Rishikesh, I had done my first full marathon. I had a very tired body. I needed something that could rejuvenate me before I continue my journey ahead. And Rishikesh came to my rescue!!!! 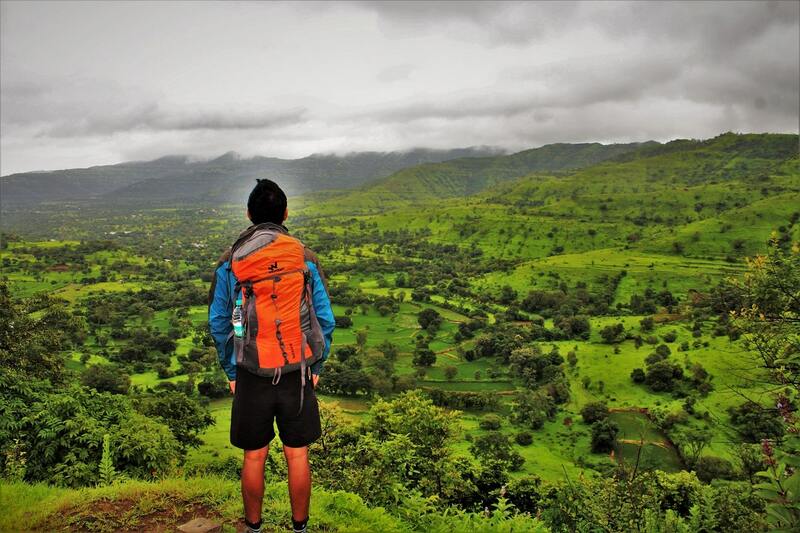 Awesome blog Abhishek. 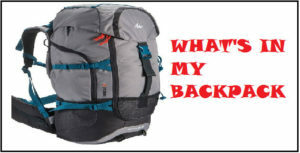 You inspired me to go on a solo impromptu backpackers after a loooooonnnnnnnnnnggggggggggg time.